Trevor Hart: It's a wake up call for the whole country David! 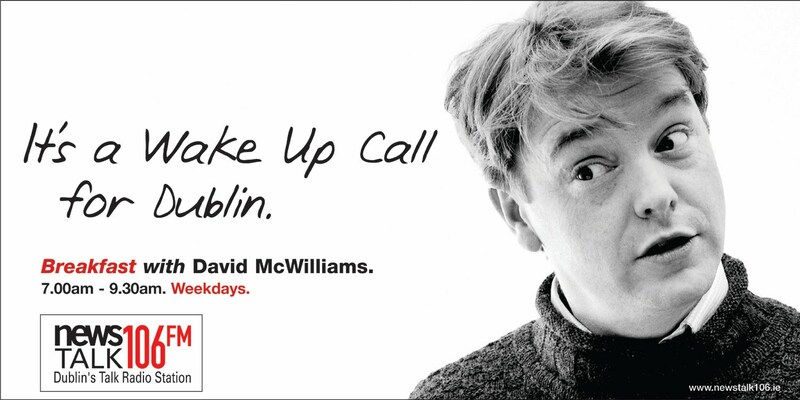 I was looking through my archive recently and found this ad from a series I did with John Martin for Newstalk back in about 2003?? In years to come our kids may not remember the names of the 4-in-a row Kilkenny hurling team but they'll be taught the name of David McWilliams. And the Geansaí? Well the marketing director at Newstalk was really into the idea of photographing David in his 'Saturday' jersey to make him look more 'approachable'. It wasn't the right look really and even David's wife called the show to say that she thought she'd given it to Oxfam! Oh happy, happy, spend-thrift days.